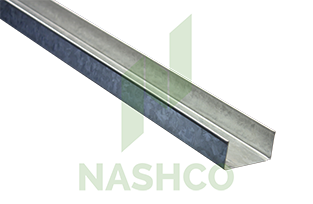 51mm Steel Stud is used as a component of the Nashco Steel Stud Wall Framing System. Steel Stud Framing provides a fast and consistent alternative to traditional timber framing methods. 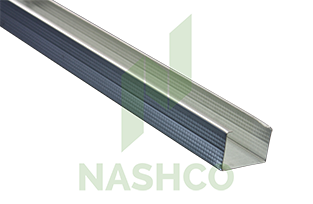 Studs are typically spaced at 600mm or 450mm centres and secured with either a Standard 32mm Track or a Deflection Head at the top and bottom of the wall. Some walls may require noggings or studs spaced at closer centres dependent on height and loading constraints. For further information on stud heights and wall construction please contact one of our sales representatives to discuss a solution for your project. Nashco Steel Stud Wall Framing Systems provide architects, engineers and installers with a fast, easy and durable solution for light wight internal wall framing. 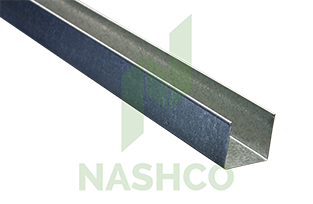 There are many and varied uses of the 0.55bmt gauge Steel Stud Wall Framing System. Contact our technical team today to learn more about its applications and suitability for your project.